Location was great, just round the corner from where we needed to be. Location just a little out of the centre, shop and bar on site. Would be great value for a couple. The apartment was lovely . it was clean .tea coffee sugar was provided 'there a shop on site just across from the apartment . It wasn't to far from the town. Wonderful. My third stay. I will always stay here, if possible! Many thanks. Beautiful apartment. Must be the best value accommodation in Leeds! 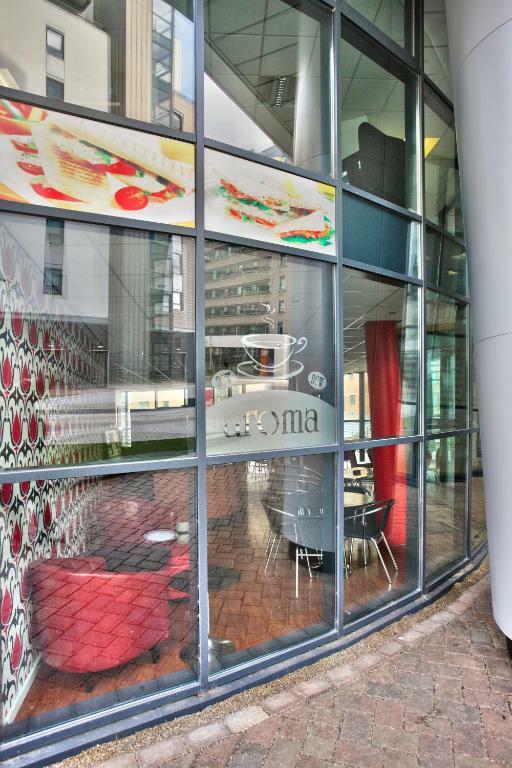 It has everything you could possibly need; it's quiet, central and near the wonderful Cafe 164 for breakfast. This hotel is value for money. The rooms are clean, the furniture in good condition and the kitchen is functional. The hotel is quiet and has good central heating through out. Highly recommended for the business traveler who wants a comfortable and accessible location. Very clean apartment, which supplied everything needed. Trouble free booking process, although a little unsure where to meet the owner with the key, this was resolved easily with a phone call. 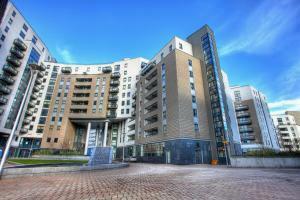 The apartment was in a convenient place and easy walking distance to the centre. Very comfortable beds. Very clean apartment just a short walk into town. 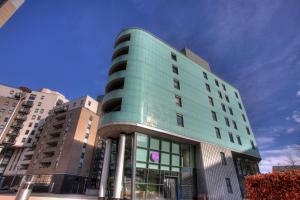 Lock in a great price for Quay Apartments Leeds – rated 8.7 by recent guests! Quay Apartments Leeds This rating is a reflection of how the property compares to the industry standard when it comes to price, facilities and services available. It's based on a self-evaluation by the property. Use this rating to help choose your stay! One of our best sellers in Leeds! Located half a mile from the vibrant Leeds’ city center, Quay Apartments Leeds offers 4-star, luxury apartments with private parking. Leeds railway station is 15 minutes’ walk away and Leeds Bradford International Airport is only 25 minutes’ drive from the property. 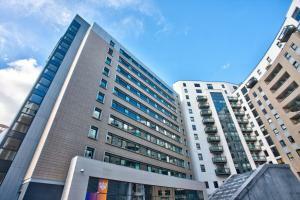 Leeds University is 1 miles from the property. 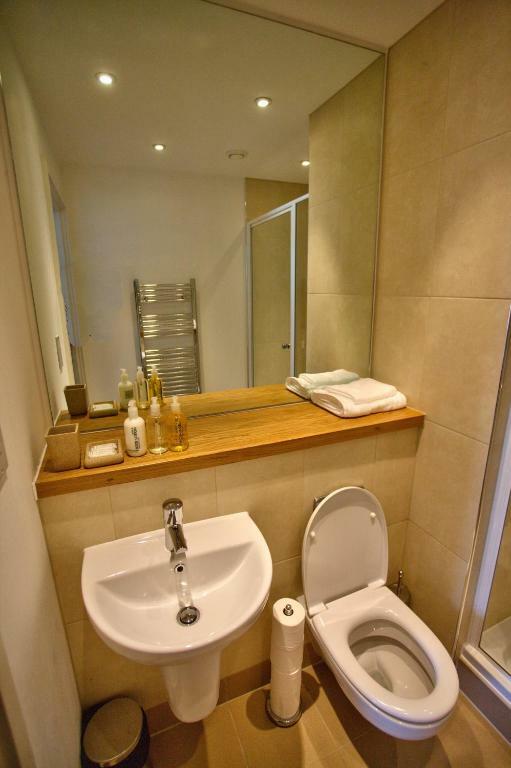 Each apartment features a flat-screen TV, a bathroom, a fully fitted kitchen and free Wi-Fi. Guests can enjoy city views and a living area with a sofa. The renowned Leeds shopping centers, including Briggate and the Corn Exchange, are located only 10 minutes’ walk away. 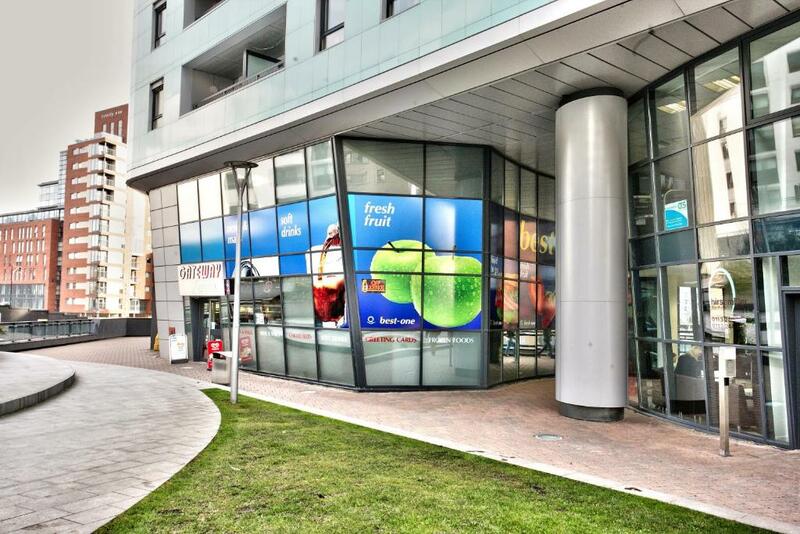 With easy access to the city center, Gateway Apartments are within 2 minutes’ walk from restaurants, pubs and bars. This property is also rated for the best value in Leeds! Guests are getting more for their money when compared to other properties in this city. Good for couples – they rated the facilities 8.5 for two-person stays. When would you like to stay at Quay Apartments Leeds? A fully equipped kitchen, a flat-screen TV, free Wi-Fi, and a bathroom with free toiletries feature in this studio apartment. Private parking is available on site (reservation is not possible) and costs GBP 14 per day. A fully equipped kitchen, a flat-screen TV, free Wi-Fi, and a bathroom with free toiletries feature in this apartment. This studio offers a single bed with a large open-plan, fully equipped kitchen and lounge area and a bathroom with a shower over bath. Offering a single bedroom, this apartment features a fully equipped kitchen and a large bathroom with bath with shower over and free toiletries. Offering a double bedroom with private bathroom and a single bedroom, this apartment features a fully equipped kitchen and a main bathroom with free toiletries. 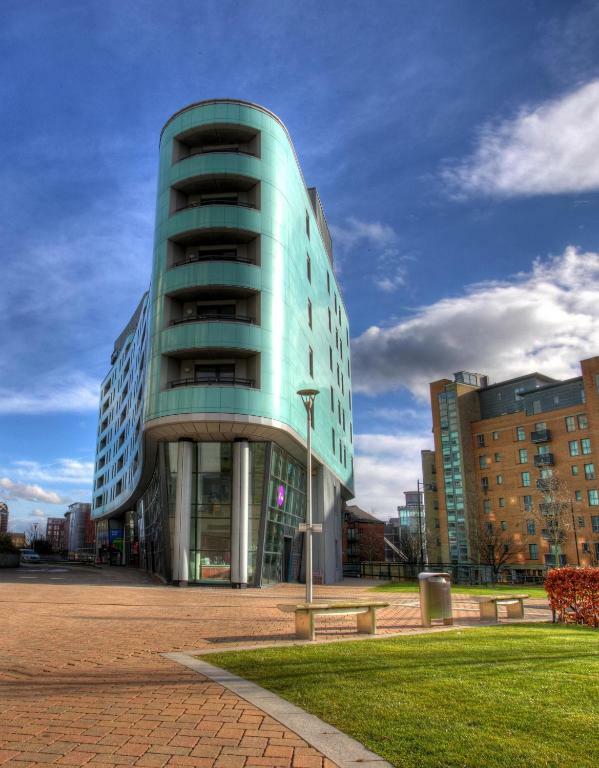 House Rules Quay Apartments Leeds takes special requests – add in the next step! A GBP200 damage deposit is required on arrival (around USD259.11). This deposit will be fully refunded at check-out, as long as there isn't any damage to the property. 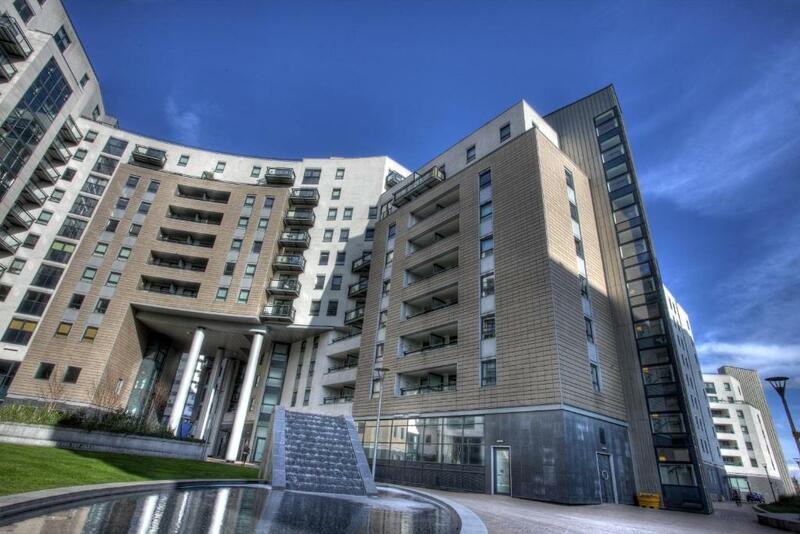 Quay Apartments Leeds accepts these cards and reserves the right to temporarily hold an amount prior to arrival. Quay Apartments Leeds is a completely nonsmoking property. Payment must be made by the person staying in the apartment and the card holder must present valid supporting photographic ID at check-in. The property cannot accept hen or stag parties, or group bookings. A group booking is defined as 2 apartments or more. A damage deposit of GBP 200 is required on arrival. That's about 259.11USD. This will be collected by credit card. You should be reimbursed on check-out. Your deposit will be refunded in full by credit card, subject to an inspection of the property. 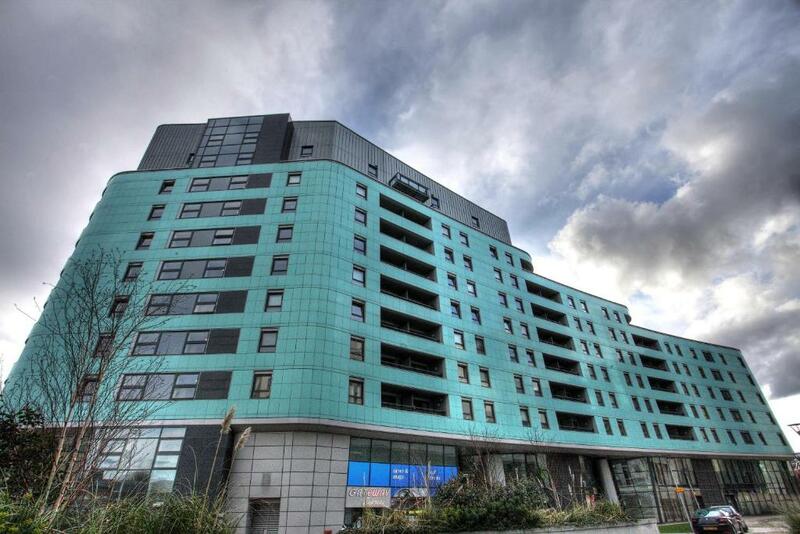 Please inform Quay Apartments Leeds of your expected arrival time in advance. You can use the Special Requests box when booking, or contact the property directly using the contact details in your confirmation. Lighting in bathroom could have been better. No mirrors near power points when using hairdryer. I was upgraded from a studio to a 2 bedroom apartment. Host Raza was very friendly and accomodating. Heating was very efficient. I was only there one night, but it was convenient and served the purpose that I needed. Thank you. It was not the apartments shown on pic provided by booking.com. They are a good 10 minute walk away from centre and apartments shown, making it further away from arena. They was no cafe close, advised on other feedback. This was due to different apartments. Taxis was an issue as 4 different companies did not no the apartments, only the apartments shown in picture they were aware of, which had a different name. We stayed in X1 AIRE. On the Booking.com page, the parking fee was at the very bottom of the page and is £14. I chose this apartment on price, but with parking on top I would have been better off somewhere else. Parking was nearby and secure. It wasn't signposted we were looking for a building called quay apartments for over an hour and half I think the name on the building was Westgate if that was on the email we would have found it quicker . Great location. Spotlessly clean. Spacious rooms. The apartments no longer have Quay in their name and are called Gateway...made it harder to find. No clear enterance for parking. Was on the phone to a gentleman for 10 minutes going round in circles and he still was not directing me properly, considering I’m not familiar with the area and the one way system giving me the directions whilst driving is a bit silly.